Cardiology or Cardiovascular medicine is a sub-specialty of internal medicine. 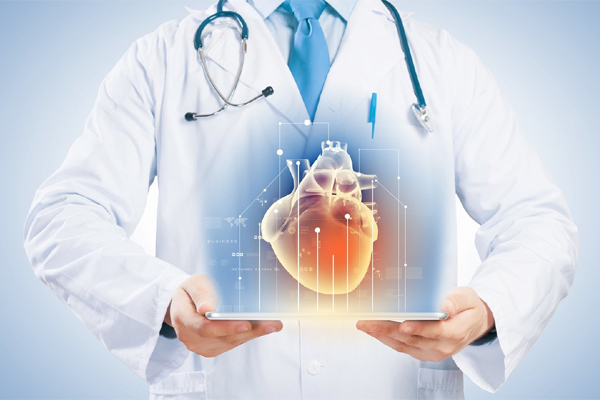 Cardiology is a division of medicine which deals with the diagnosis and treatment related to heart disorders. It is the specialisation related to one of the most important organ of our body and as such it has much significance in medical science too. Medical practitioners who deal with heart disorders are generally termed as Cardiologists. Cardiologists analyse and deal with cardiovascular or circulatory illness and disorders. This means the heart, blood vessels and many other parts of the body are a primary focus for a cardiologist. A cardiologist is a doctor of the heart, arteries and veins. Cardiologists provide diagnosis and treatment of heart failure, congenital heart defects and coronary artery disease. This includes problems caused by restricted circulation due to narrowing of the arteries, problems in the heart valves, damage to the muscle tissue, and disorders of the pericardium. There are many different categories of cardiologists – some focus more on diagnosis, prevention, and medications, while other cardiologists are more procedure-oriented, performing angioplasties and other life-saving operations. Cardiologists can be invasive, interventional, or non-invasive. Non-invasive cardiologists don't do procedures; they mainly perform diagnostic tests to spot early signs of heart problems. Non-invasive cardiologists perform stress tests and electrocardiograms, popularly known as EKG’s to gauge the state of your heart. Invasive cardiologists are trained in a diagnostic procedure called cardiac catheterization, which is used to pinpoint blockages of the arteries. Whereas interventional cardiologist perform various surgical procedures like angioplasty and tubing. A cardiologist is not a surgeon. The physicians who do open heart surgery are cardio-thoracic surgeons. While Cardiologists take the internal medicine route, a heart surgeon completes a surgical residency program, not internal medicine residency as cardiologists do. Cardiologists may conduct test and prescribe treatment, but in case of surgery he refers the patient to Cardio-thoracic surgeons. In this instance, a Cardiologist remain the primary doctor for treatment but would work cooperatively with other specialists in the area of cardiology. Cardiologists must have a strong background in medicine and science and must be detail-oriented and organized. They must have a desire to serve patients, have compassion towards others, be self-motivated, and be able to survive the pressures and long hours of medical education and practice. Besides one should have discipline, patience, commitment to excel and self-confidence to become a Cardiologist. They must have the ability to take decisions in life threatening situations. Cardiologist also needs to be an expert on diet and exercise. Cardiologists who perform surgery must have strong motor skills in order to complete delicate operations involving the heart. Cardiologists have to spend a significant amount of time on call and may be asked to come at irregular times to evaluate a patient. Becoming a cardiologist generally entails several years of training beyond an MBBS degree, as well as licensure and board certification. To become a cardiologist after taking MD / MS / DNB, one has to go for a DM in Cardiology. One who wish to be a cardiologist must have passed 10+2 exam with biology, chemistry and physics. On completion of Plus two student have to appear for the competitive entrance exam for MBBS (Bachelor of Medicine and Bachelor of Surgery). This is a 5½ years course which includes one-year internship period as well. After that one has to go for MD / MS / DNB which is of 2 to 3years duration. Then go for specialisation in the field i.e DM in Cardiology. For surgical intervention one has to get a MCh in Cardiology. There are entrance exams in order to get admissions to the programs. DM and MCh are of 3 years duration. With the increase in heart patients and number of Multispecialist hospitals, the scope for Cardiologists has widened both in Government and Corporate sector. A career as a Cardiologist can be rewarding, career wise as well as financially. Cardiologists can find employment as doctors in hospitals in cardiology department, cardiac rehabilitation centers and clinics testing patients for heart problems. They work in hospitals on hourly, weekly and monthly basis. Most of them consider private practice, and get self employed by starting their own clinic. There are some who work in several hospitals as consultants as well as run their own clinic. They can get recruited in government health sector and defense service. Those who are willing to do research work related to heart can also do the same and become scientists in cardiology. Cardiologists who prefer teaching can opt for the position as lectures in medical colleges. Although cardiology is a specialised area in medical science, within this cardiology field itself several sub-specialties have developed. Nuclear cardiologists focus on the pumping functions of the heart. Electrophysiologists specialize in the electrical systems of the heart. Interventional cardiologists perform invasive procedures such as stent insertion and angioplasty. Yet another group specialise in areas such as Pediatric Cardiology. A Pediatric Cardiologist treats abnormalities and diseases of the heart in children who are still in utero up to adulthood. Cardiologist's salary is primarily based on the years of experience, the sub specialty, geographic location and the type of facility. Cardiologists who work in town can expect much more than one who work in rural areas with limited facility. Similarly salary varies for a private practice and those in government service. Based on specialization, Interventional Cardiologist earn more than other Cardiology specialists. A fresher who joins a government hospital can start earning from Rs.25,000 per month. Whereas in private hospitals the salary can be much more. Those who are experienced in the field can earn even lakhs per month. However there is no upper limit for those efficient Cardiologists who are managing their own heart care centers. Apart from salary, Cardiologists also enjoy various incentives, perks, free accommodation, as well as high positions in several medical associations.